The popularity of large-scale works like Psalm XLVII, La Tragédie de Salomé and Dionysiaques would make one think that Florent Schmitt cared little for intimate subject matters as inspiration for his compositions. But the reality is different. While it’s true that the more grandiose and dramatic scores of the composer tend to be the ones that are best-known and oft-performed, it’s also the case that Schmitt was inspired by subjects that were the polar opposite of these. 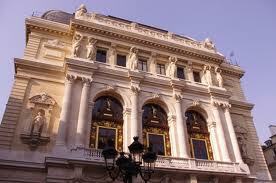 A case in point is the music Schmitt composed for the ballet Le petit elfe Ferme-l’oeil, Opus 73, which was mounted at the Théâtre de la Opéra-Comique in 1924. 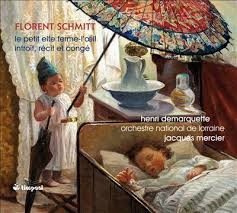 Actually, the music dates back more than a decade before, when Schmitt composed a suite for piano duet he titled Une semaine du petit elfe Ferme-l’oeil. This suite of seven piano pieces (Schmitt’s Opus 58), drew its inspiration from a Hans Christian Andersen book called The Songs of Hialmar. In this fairy tale, a boy (Hialmar) is visited each night of the week by a sandman-like character (Ferme-l’oeil – freely translated it means “sleepy-eyes”), who helps the boy to sleep while conjuring up a series of seven “dream sequences” – one for each night of the week. 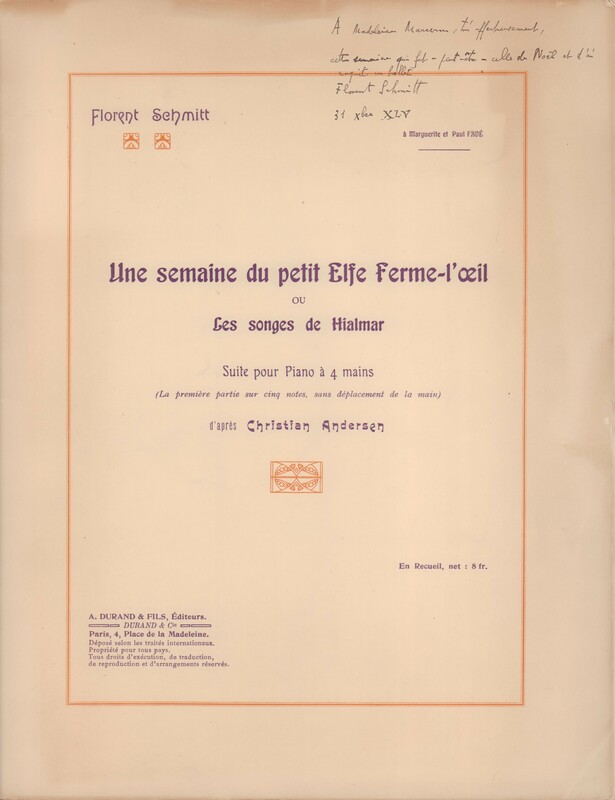 Florent Schmitt’s piano duet score to Une semaine du petit elfe Ferme-l’oeil, inscribed by the composer. Like several of his other piano duet works, Schmitt intended this suite for students to perform with their piano instructors. 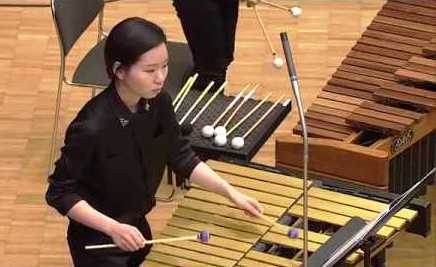 Accordingly, it is a didactic composition wherein the student plays the primo part and the teacher performs a far more elaborate and complex secondo part. In fact, the primo part was written by Schmitt so that students never need to shift their fingers away from the starting position. The Canadian pianist Leslie De’Ath has reported that the original piano duet score was composed for Schmitt’s own son to perform, as well as for the composer’s other pupils. You can sample the charms of this music on YouTube, where the piano suite’s individual movements have been uploaded by duo-pianists Bruno Belthoise and the late Claude Maillols from a recital performed at the Schola Cantorum in Paris in late May 2013. Here is a link to the “Round of the Obtuse Letters” movement and also a link to the “Chinese Umbrella” movement. 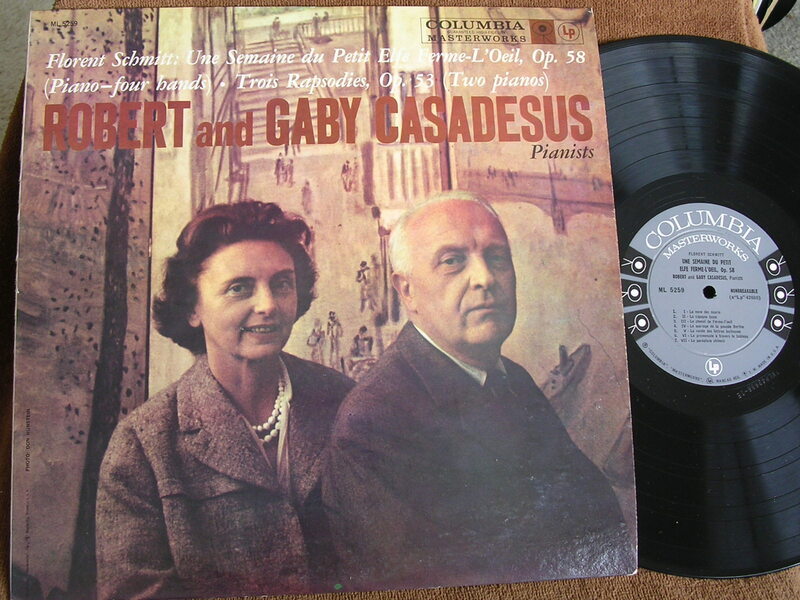 First recording: Robert & Gaby Casadesus for Columbia Masterworks (1956). The Opus 58 piano suite, which is approximately 20 minutes in length, has proven to be one of the more popular of Schmitt’s piano scores. Its first recording was made by Robert and Gaby Casadesus in 1956. This exciting and highly effective performance, full of muscular vitality, stayed in the catalog for a number of years, but to my knowledge it has never been reissued on CD – at least not in North America or Europe. The Casadesus recording would be the only one available until duo-pianists Claude Confaloni and Odile Poisson released their version in 1986, 30 years later. In the CD-only era, we have been treated to several other renditions, including the Heidelberger Klavier-Duo (Adelheid Lechler and Martin Smith) recorded in 1993, one by duo-pianists Timothy and Nancy LeRoi-Nickel from 2003, as well as a recording by Leslie De’Ath and Anya Alexeyev, released in 2011. 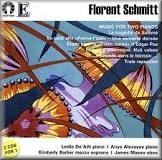 The Invencia Piano Duo (Andrey Kasparov and Oksana Lutsyshyn) has also recorded the score as part of its survey of Florent Schmitt’s complete music for piano duet and duo; that recording will be released later this year by NAXOS Grand Piano as part of the fourth and final volume in that series. Interestingly, the 2011 De’Ath/Alexeyev performance is not of the Opus 58 … but of Opus 73. This version is not a 20-minute work, but rather one that runs nearly twice as long. 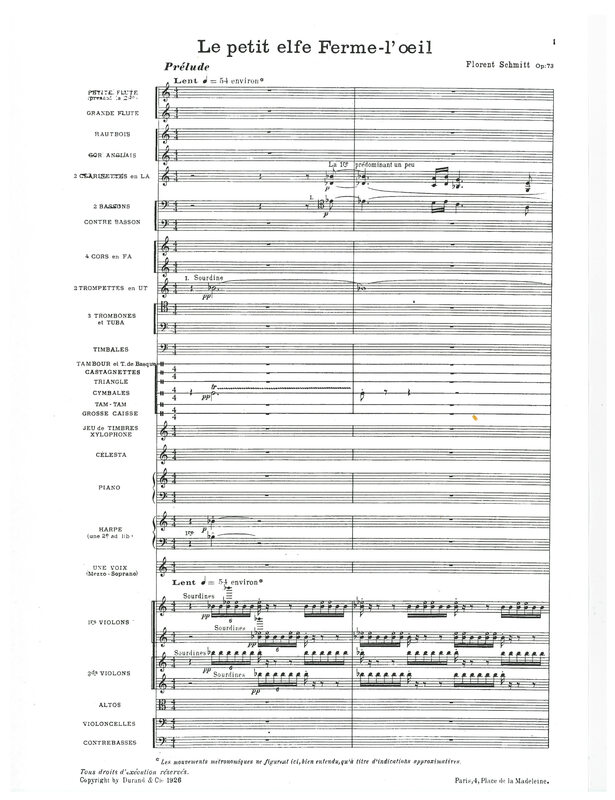 It contains additional sections such as an extended prelude, along with a series of musical transitions between the seven original movements. The score also calls for a mezzo-soprano soloist in one of the numbers. What’s going on with this De’Ath/Alexeyev recording? It turns out that this interpretation represents an arrangement prepared by Mr. De’Ath from the orchestral score that Schmitt created when he expanded the original suite into a full-length ballet. 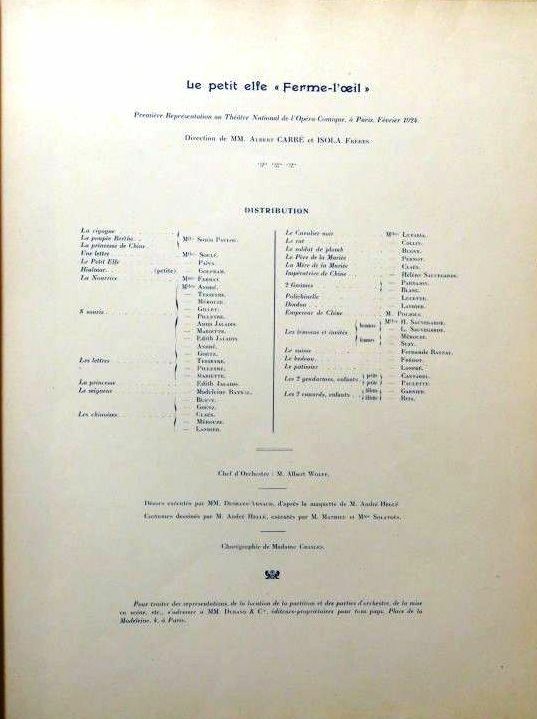 The new ballet score was first performed in 1923 in a concert led by composer-conductor Gabriel Pierné … then mounted on the Opéra-Comique stage in 1924. The cast of the Opéra-Comique’s 1924 stage production of Florent Schmitt’s ballet Le petit elfe Ferme-l’oeil. The conductor of the premiere performances was Albert Wolff. Unfortunately, no enterprising conductor or record label has seen fit to record the full-length ballet. But having looked at the score, I can attest to the fact that it is replete with musical riches and would be a dynamite composition to bring before the public. Big-orchestra treatment: The instrumentation for Schmitt’s Opus 73 ballet is lavish. The instrumentation called for in the ballet score hints at the opulence of the piece: In addition to the usual complement of brass, woodwinds and strings (the latter frequently divided into sub-parts), the score calls for an English horn, a contrabassoon, two harps, plus a full battery of percussion including a lineup of “tuneful percussion” instruments like concert bells, xylophone, celesta — even a grand piano. We can also get a hint of the larger work’s flavor by hearing Mr. De’Ath’s two-piano arrangement of the full-length ballet. Just as in Maurice Ravel’s ballet Ma Mère l’Oye, where Schmitt’s musical compatriot added highly effective new material when he orchestrated and expanded his score from the original piano version, the additional music in Schmitt’s ballet adds depth, richness and variety to the original piano suite. 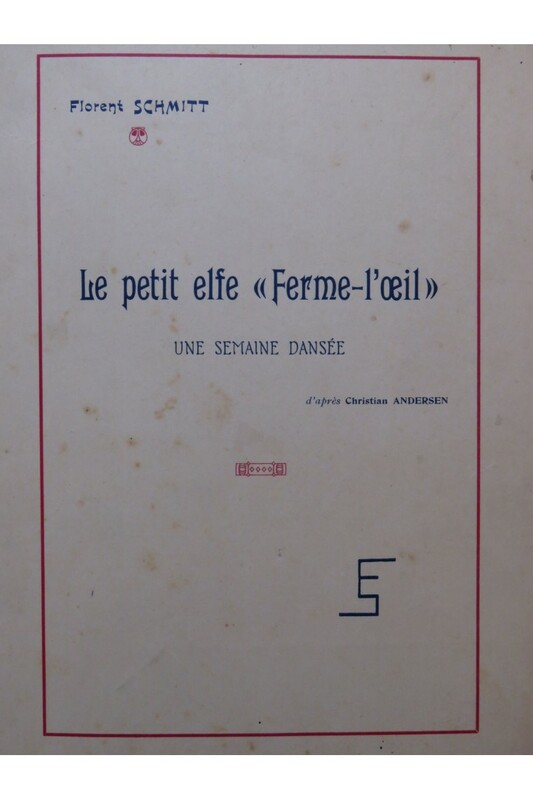 A vintage copy of the 1923 ballet score to Florent Schmitt’s Le petit elfe Ferme-l’oeil. And what of Schmitt’s ballet? What level of success has it enjoyed? Clearly, it hasn’t achieved the popularity of Ravel’s children’s ballet, despite certain similarities in terms of their years of creation, the subject matter, and how the composition expanded as it migrated from two pianists to the orchestra pit. Despite its unfamiliarity today, Schmitt’s ballet did enjoy success in its early years. 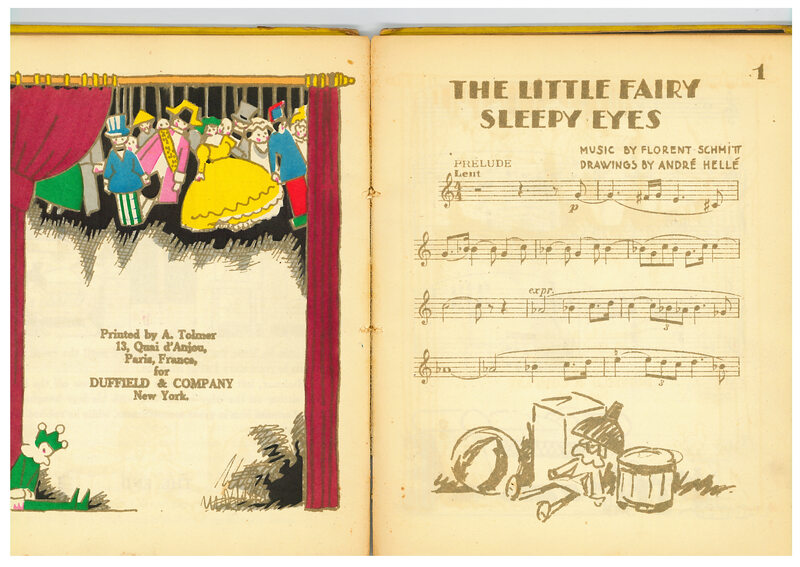 In fact, the music figured prominently in a children’s book published in 1924 by A. Tolmer in Paris, recounting the Hans Christian Andersen story and featuring the strikingly colorful illustrations of the artist André Hellé. The English-language version of the children’s book, printed by A. Tolmer in Paris for American publisher Duffield & Co. (1923). 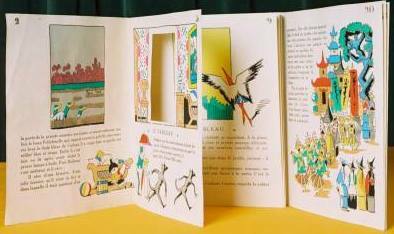 The book, published in French as well as in English for the American children’s book publisher Duffield, has become a sought-after collector’s item. I am fortunate to have a copy of the book in my possession. It’s one I acquired quite a few years ago … but copies today sell for upwards of US$500 at auction. To my mind, the ballet version of Le petit elfe, which still awaits its first-ever commercial recording, represents a gaping hole in the discography of Florent Schmitt. Giving us a taste of the ingratiating orchestral score is this 1952 broadcast of several excerpts from the ballet, in a spirited performance by the ORTF Orchestra under the direction of Eugène Bigot. Two conductors in particular should seriously investigate this score: Stéphane Denève, who made an award-winning premiere recording recently of the two suites from Albert Roussel’s opera-ballet Padmâvatî … and JoAnn Falletta, who led the North American premiere performances Schmitt’s two Antoine et Cléopâtre suites. Justly recognized for their highly effective interpretation of French music of the early 20th Century, either conductor would be well-nigh perfect for bringing Schmitt’s ballet to the microphones. Here’s hoping that one of them — or some other conductor — will be inspired to perform and record Schmitt’s Opus 73. Rich musical rewards await us all! First ballet recording (released February 2014). Update (2/22/14): As of February 2014, the first-ever recording of this music has finally been released, 90 years following the ballet’s premiere. It features conductor (and Florent Schmitt advocate) Jacques Mercier conducting l’Orchestre National de Lorraine and is available on the Timpani label. Having obtained the recording and listened to it intently, I can attest that it is a fine interpretation that brings out all of the ballet’s drama and color to tremendous effect. The recording quality is also top-notch. Nothing can beat the fidelity of the CD release, of course, but you can also listen to the recording here, courtesy of YouTube. Also, the 1956 Robert & Gaby Casadesus premiere recording of the original piano suite has finally made it to CD, thanks to a fine new release produced by Forgotten Records. It can be ordered here. The Hiroshima Wind Ensemble plays Florent Schmitt. Update (2/10/18): Le Petit elfe has now been arranged for wind ensemble — and very effectively, too. It’s hardly surprising, considering Schmitt’s original orchestration which favored woodwinds, brass and percussion to such masterful effect. Four excerpts have been uploaded to YouTube, featuring the Hiroshima Wind Orchestra conducted by Tatsuya Shimono. Click here to listen to these colorful selections. This entry was posted in Ballet, Classical Music, Composers, French Composers, Piano Four-Hand Music, Piano Music and tagged Andre Helle, Ballet, Belthoise, Casadesus, Classical Music, Composers, De'Ath, Deneve, Duffield, Florent Schmitt, Forgotten Records, French Composers, Hans Christian Andersen, Hiroshima Wind Ensemble, JoAnn Falletta, Le Petit Elfe, Maillols, Nones, Opera-Comique, Ravel, Schmitt, Tatsuya Shimono. Bookmark the permalink.